I must admit, I'm a bit late to Veganuary - partly because cutting dairy out of my life is nigh on impossible, and we have had a mountain of cheese and cream which we had to use up over Christmas, and partly because finding time to blog about food has been hard over the holidays whilst the kids have been around. 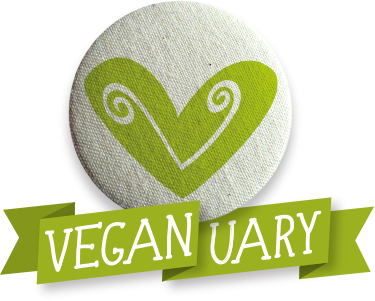 Veganuary encourages people to go Vegan throughout January, to cut meat, fish and dairy from their diet, in order to reduce factory farming and the amount of animals being consumed. Veganuary has calculated that the average carnivore consumes 126.9 animals per year - over 10k in their lifetime - that's a pretty substantial amount! As a vegetarian, I do typically eat dairy, but there are some great vegan alternatives for cheese, milk, butter etc - such as soya milk and vegan cheese and butter, and so I am trying to avoid dairy in January for Veganuary. This month is also a bit of a mission for us to use up all of our leftovers from the glut of food we still have from Christmas, rather than waste food and start buying more. 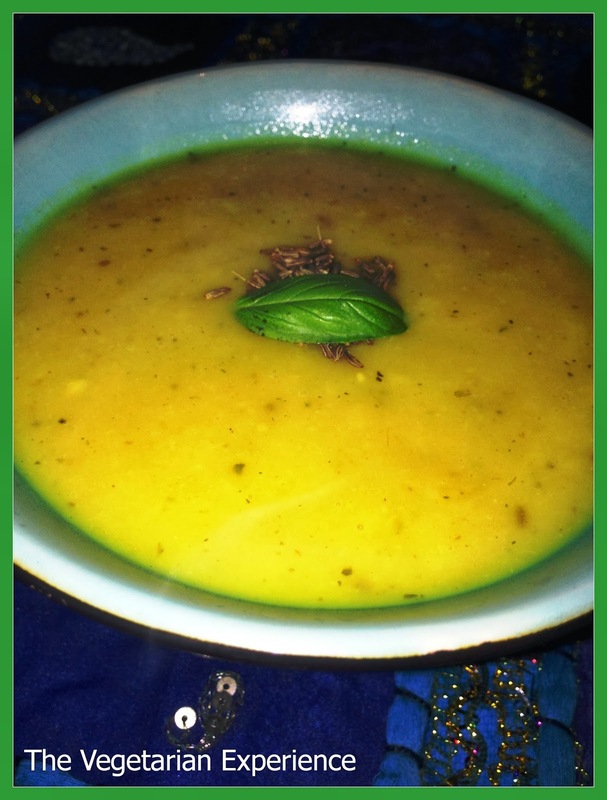 Today I am featuring a fantastic roast Parsnip Soup. Using up the excess parsnips from Christmas, I roasted them with an onion in some oil and spices, before liquidising the roasted vegetables with some vegetable stock to make a soup. The spices are really bought out by roasting the vegetables first and I love the tiny particles of flavour bursting around your mouth as you swallow the soup. This Parsnip Soup is full of flavour and is a great winter warmer. You should give it a go as it is so simple to make and promises maximum taste. It is also Vegan which is a bonus too! You can find the recipe below. How is your Veganuary going? Heat the oven to 220 degrees centigrade. Combine the oil in a bowl with the coriander, mustard, turmeric cumin and garlic. Mix together well. Add the vegetables to the bowl and cover them in the oil and spices. Place the vegetables, oil and spices over a roasting tray and cook in the oven for around thirty minutes. Meanwhile, make the vegetable stock and set aside. Once cooked, place the roasted vegetables into a liquidiser, and process with half of the vegetable stock. Keep adding the vegetable stock until the mixture is smooth. At this point, you can either store and re-heat later, or pour into a pan and cook until hot. Stir in the lemon juice to serve and garnish. I made this last night and it was really awful. The spices aren't balanced and really heavy for a strong vegetable like parsnips. I threw it out after my first few spoonfuls. It just doesn't work. Sorry to hear this wasn't for you anonymous. Everyone has their own preferences when it comes to spices. Following your feedback I have adjusted the quantities to make the spices a little more mild.